Only seven days left of the extraordinary opportunity to stock up on the best long-term storage food on the planet, at the best prices anywhere ... and with free shipping to the entire U.S.A. I will not be able to repeat this offer in the future, so if you need emergency food, please consider this as the best chance you'll have. I have 150-can and 48-can packages to which you can make substitutions ... or you can custom-build your own bulk package. Note that demand for this food is so high right now, last week Mountain House was wiped out of inventory in the #10 cans. That means our orders are now shipping in stages as the food is made available, with the last of the food in an order possibly shipping as late as mid-May. Payment must be received and cleared by noon, Central time, March 31 to qualify. I woke up this morning to a mind-pic of three inflatable buoys bobbing around in frothy waves. My immediate understanding was that those buoys were the proverbial "faith, hope, and love" holding me up through the churning realities of day-to-day life. If you haven't embraced that truth as yet, I would encourage you to find the substantive meaning in that insight as it applies to your place in the universe. They are virtues that abide all. Still, for many readers, another immediate and relevant context for these treasures can be had right here on the ground where we live today--in a modern life filled with difficulties and dangers. Yes, establish your relationship with your maker and cultivate it. But beyond that, so too, these virtues serve you well applied to developing your own self confidence, to your household and community relationships, and even applied to your preparedness activities. Along the same lines of the principle that has proven itself through history--that there is peace through strength--so too is there peace of mind to be had via personal readiness. That is, if you are reasonably equipped to deal with whatever life can throw your way, then you are going to be feel pretty good about your future. Faith: I trust that God always provides for me as needed, and that He blesses my household accordingly. I also believe that He has steered us onto our present course and that we are well situated for events anticipated and unanticipated. It's a good feeling to be able to trust that we have done what is wise and reasonable. Hope: With a Christian faith, we always have hope of eternal life in Christ Jesus. We also have hope in this life of coming out on top of any trials and tribulations, since we are given only that which we are capable of enduring. Being physically prepared bolsters our position of strength and allows us to extend a positive and beneficial outlook toward the future. It also permits us to be able to afford to cheerfully influence and impact the lives of others around us. Love: "The greatest of these is love." Love God, love yourself, love your family and your neighbors. It's a powerful virtue--to be able to reach out and give of what you have and of who you are. I fail in that more often than I care to admit, but in terms of preparedness and being involved in the business, I can truthfully say that it is a labor of love ... a heartfelt effort to encourage others to find peace and buoyancy in a balanced, systematic approach to the future. Depending on where you live, the weather forecast will be taking on new importance again soon. Hurricanes, tornadoes, and strong storms with straight-line winds wil shred parts of America this year, as they do every year. One only needs to be in the crosshairs once or twice before you start to think that maybe there's a smarter way of dealing with mother nature. Two years ago, after a couple of run-ins with tornadoes, I found the ideal prefabricated steel shelter to put underground beneath my new addition. It was strong, full-featured, and reasonably priced. I financed it into my home addition deal and we have had the most reassuring sense of well-being ever since. 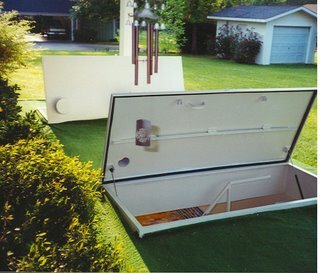 This is the time of the year when people around the country start thinking seriously of building homes, additions, and even just putting in that much-needed storm shelter. Our builder has been doing his thing for almost a dozen years, with about 500 shelters installed all over the U.S., including many FEMA projects. His product is unsurpassed in safety and quality by anyone out there regardless of price. If you're thinking this is the year you might finally get your own all-risk peace of mind, the time is now to get your homework done and get on our list. The list is growing as it always does this time of year. Labels: Natural disaster preparedness, Shelters, Why prepare? Are the Good Old Days Gone Forever? The future never turns out the way we envision. 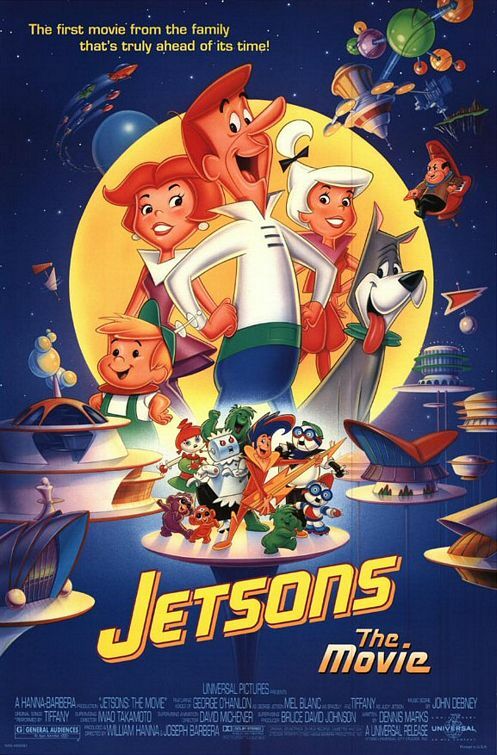 Back in the '60s, when I was in elementary school, the future was epitomized by "The Jetsons." Everything was going to be sleek, fast, and cool. Problems were going to be trivial compared to the technologies we would be able to bring to bear on them. In the '70s, there were hints that in our future, the world was headed for globalization. The progressive idea was about eliminating international tensions and utilizing available resources to improve the average condition of all the world's people. Environmentalism was at the forefront in people's minds at this stage. Compassion was embraced as common sense. In the '80s, technological advancements, to include the genesis of personal computing, started to actually shrink the gaps and spaces between the world's cultures. And it was of course the emerging global economy and the sudden demise of the Cold War mindset that threw popular perception of the future onto a whole other level. The '90s saw geopolitical advances that tried to keep pace with the continuing techno-compression of the collage of global cultures. The corporatization of life everywhere seemed to be driving us toward a future that would eventually blur the boundaries between our differences. We would all one day get along because we would all be the same, watching, thinking, buying, eating, and believing the same things, wherever we happened to be on the earth. "Don't worry. Be Happy." But then, we seemed to reach the end of the pavement. The bumps and potholes started to jostle us around and indeed we had to overhaul our collective view of the future because a small but menacing segment of the global population did not like where the future was taking us. Violence on innocence entered the equation. The future suddenly was put on hold. The war on terror, we are reminded continuously, will be a long-term struggle. The segment of radical Islam that is inexplicably growing its core base of adherents to wage war with a future of commercial and cultural pluralism is a large shadowy enemy that leaves few targets for our sophisticated political and military sensibilities. But how much time do we have to adapt to the new reality? At stake is the future and the power to envision it. The enemy seeks to define what life and death on this planet should be about. How long before we come to grips with the dangerous intent and growing potential rolling toward our best laid plans? It will take another major assault on our comfortably superior way of life ... probably one far worse than we care to even imagine today before we become willing to do what needs to be done. So we are allowing the enemy time ... essentially giving away this precious time to those who are investing it in creating an abominable future for all of us. Labels: Crystal ball, War on terror, Why prepare? A good reminder for us that the dreaded "dirty bombs" that could one day soon be visited upon the west will not likely be nearly as dangerous as many seem to shriek. Around four years ago, a team of security professionals from a Washington think tank played a game of Let's Pretend. The group parked a yellow, 66-passenger school bus on Independence Avenue, on the National Capitol Mall, near an overhead rail line. Congress was in session that morning; people were flocking to national monuments. The weather was also nice that day - sunny, warm, with low humidity - and there was a steady breeze blowing in from the southeast. All the necessary conditions were there. The team from the Center for Strategic and International Studies (CSIS) then imagined that their bus was packed with 4,000 pounds of TNT and a pound and a half of radioactive cesium-137. What would happen to Washington, DC, they wondered, if the bus went ka-boom? Interestingly, most of the pretend casualties were caused by the regular old TNT and flying debris; the damage from the cesium was negligible by comparison. However, notes Phil Anderson, the man who headed the CSIS team, the fact that radiation was involved in the blast "had an enormous psychological impact on the public." The so-called dirty bomb proved to be a weapon of mass hysteria. Radiation is "something unseen and mysterious for most people," says Ivan Oelrich, a nuclear physicist with the Federation of Atomic Scientists. ... Fortunately, even if al-Qaida or another terrorist group was to detonate a dirty bomb in a city and radioactive material would be dispersed over a wide area, it is unlikely that it would be enough to do any real harm. "The so-called safety limits for radiation exposure are exceedingly conservative," explains Fred Singer, physicist and president of the Arlington-based Science and Environmental Policy Project. "You can exceed them by a factor of 10 or 100 and not suffer any damage." In fact, a dangerous concentration of radiation would melt most containers - but try telling that to the public right after a non-conventional terrorist attack. Citizens would clamor for a very expensive clean-up, draining the public coffers; businesses would come to a halt. So how does one overcome the fear? "The answer is more education," Anderson insists. So while others may be shrieking, you don't have to be freaking. Understand the threat and know your risks in a given attack before chucking your sanity in favor of bolting with the herd. So where have I been of late? Well, fair reader, I've actually been toiling away at some real work. This happens to be a time when some cool new crisis-preparedness products are coming online, so I've been getting in synch with some of that. I'm also marching forward in building a new shelter-business thrust that is nothing short of exciting. But in addition, there are plenty of folks around the country starting to emerge from their winter slumbers, thinking about how to get ready for what the warmer weather will bring, and so it's a welcome obligation to be responding to their needs. I can't emphasize enough how significant this opportunity is--to include discounts AND FREE SHIPPING. Be advised, due to circumstances beyond my control, I can only offer this monster opportunity during the month of March. By the way, for those who are unfamiliar with Mountain House--it is the premier freeze-dried food in the world. Campers, backpackers, outdoorspeople of all stripes swear by the easy to carry and prepare pouches of some absolutely delicious food. For emergency preparedness, the #10 cans which store for 30-40 years (no, that's not a misprint), are the best insurance a household can have against lean times.